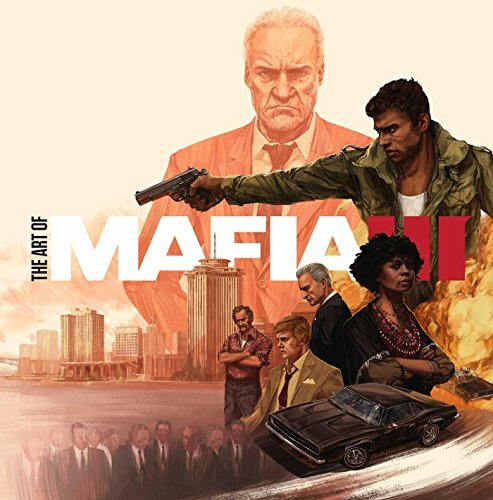 I did not play Mafia III, but the artworks in this book makes me want to play it just to explore the world that the designers have created. Highlight of the book is the environment art. They look really believable and beautiful. The interiors look like they could be from some classy old school interior design magazine. I love the decoration, mood and atmosphere. Most artworks are detailed. Some are speed paintings over photos, or photo-bashed. Many are done well but a few could be better. But overall, I enjoyed looking at the environment art and developer Hangar 13's interpretation of 1968 New Orleans. The other artworks included are character designs. They are alright. Nothing unexpected or surprising. Nothing we haven't really seen before. I'm glad there aren't many pages actually for character designs. There's also unnecessary use of white space on some pages. Text is minimal. You get a short paragraph for every two pages talking about things that you already know if you have played the game. I bought the book at around US 26 and it's worth the money in my opinion. Overall, it's a decent video game artbook. It should appeal to those who like environment art more.